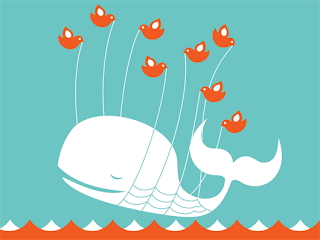 Twitter's 'Over Capacity' issues is the current watchword on every Internet User's Dashboard! I was reading a couple of posts regarding this topic for quite sometime now, so decided to check it out. The interesting part is that, those who blogged about this topic, all spoke in 'general'. Nobody decided to check it out! Anyways, after investigating into this matter, I found out that, this problem is mainly occurring due to the Large Scale API requests to Twitter's Servers sent from the numerous Twitter Applications ! There are so many Twitter Applications, both Online Services, as well as, Desktop Clients , that are engaging into multi-tasking with Twitter's Database ! Initially this problem of 'over-capacity' didn't occur because the specified genre was small, as compared to what its now! Nowadays, out of 100, nearly 98 users are using Twitter! Out of that 98, 86 users using Clients or Online Services to Build, Grow, and Promote, either their business or self-brand! Thus you can see the extra logging in Twitter is facing! If we look at Twitter's Organization Structure, we will see, that it's not so enlarged like Mega-Corporations. Example, Microsoft , Google , to name a few.. They have a small team of experts who work tirelessly to cope up with the daily happenings! We got an update yesterday from the Twitter Management regarding this 'Over Capacity' Issue, they said, "We’re still investigating this issue. We are temporarily reducing the API rate limit to 20 requests per hour in order to help address the latency issues we’re seeing." We hope they fix this problem as soon as possible, and, everyone gets back in Tweeting groove!